Welcome to our #1 selling acoustic sound panel system. 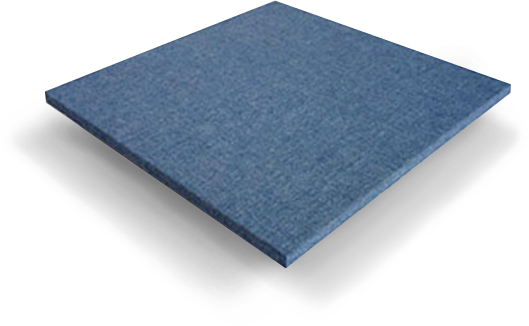 Fabric Acoustic Wall Panels are cloth wrapped sound absorbing wall panels designed to absorb unwelcome background noise inside your space, reducing the echoes, and delivering premium sound quality back to your room. Our sound absorbing acoustic panels are class A fire rated, decorative, durable, easy to self install, and ship with a set of clips that make it easy to self install your treatment. Care must be given to net coverage amounts and panel thickness. 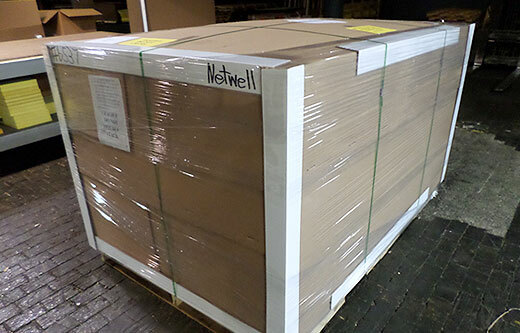 Be sure to consult with NetWell on your project before ordering. Or submit a Room Analysis of your space so we can ensure the right amount of material is targeted for your sound absorbing treatment. Your acoustic Fabric Panel treatment will combine to capture the echoes in your room, reduce your background noise, and generate more control over the sound quality inside your room. Sound absorbing panels are designed to restore clarity to your original sound. Ease in conversation, an easier listening environment, a healthy learning environment, a more productive work environment, lower crowd noise, and a host of other related acoustical benefits await your soundproofing project. 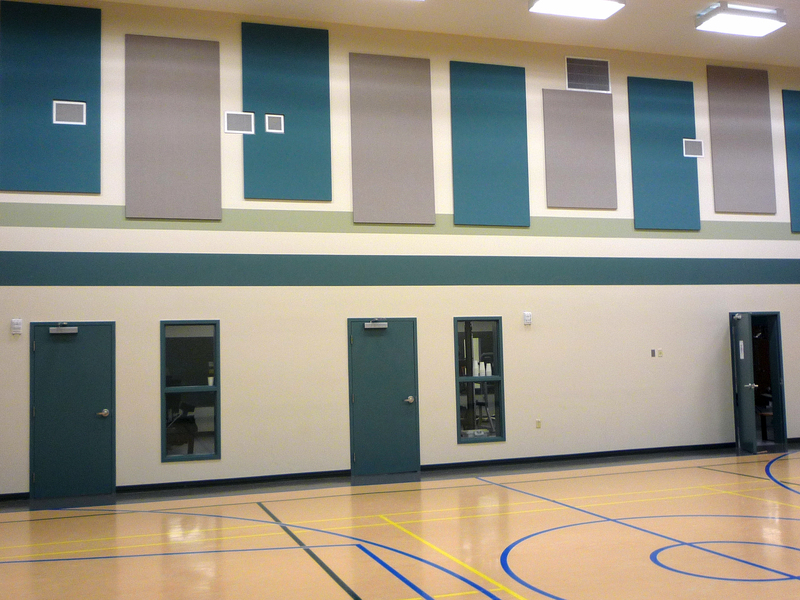 Fabric acoustic panels will generate a more user-friendly space by managing sound and absorbing unwanted echoes. These wall or ceiling mounted acoustic sound absorbing panels are available in 60 color options and are class A fire rated approved for use anywhere. Color chart listed here, free color swatches available upon request! For additional options be sure to view our entire line of sound absorbing panels. 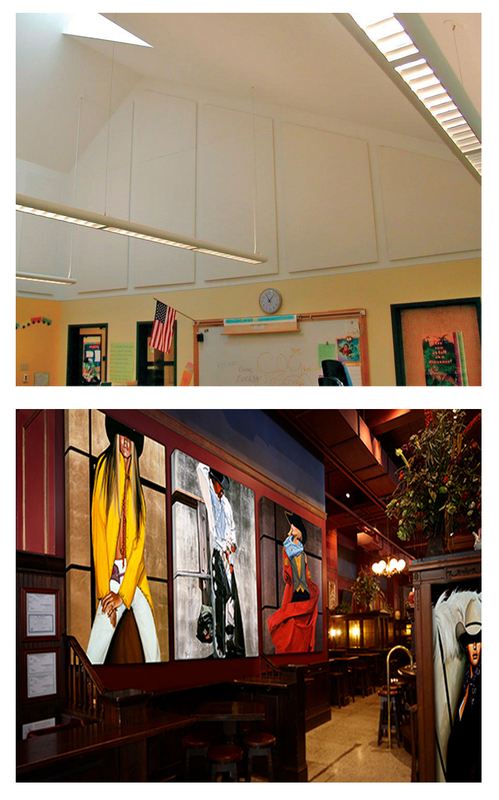 Acoustic Fabric Panels are priced based on panel dimension and thickness. If you have questions on how many sound absorbing panels you will need for proper coverage, please call our help desk at 1-800-638-9355 or submit a Room Analysis. Acoustic sound panel prices shown here reflect natural square edge profile with impaling clips for mounting. Custom order options available. For any size not listed, average up to the nearest panel dimension to determine your price point. Orders can be placed by phone to 1-800-638-9355 or online using the link to the left. NetWell prides itself on the sound solutions we have helped tens of thousands of satisfied clients reach before your upcoming soundproofing project surfaced. 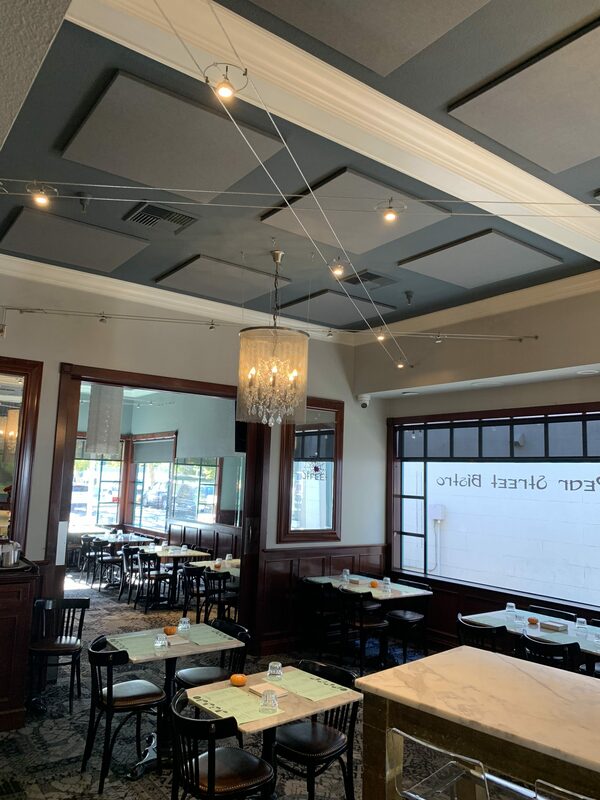 Please take the time to review some of the more recent treatments of acoustic sound panels enjoyed by our clients who once suffered from your same level of unwelcome noise. The images here reflect two upgrade options to your standard Fabric Panel. The first shows a color paint match, which is available in our line of Blush Panels. 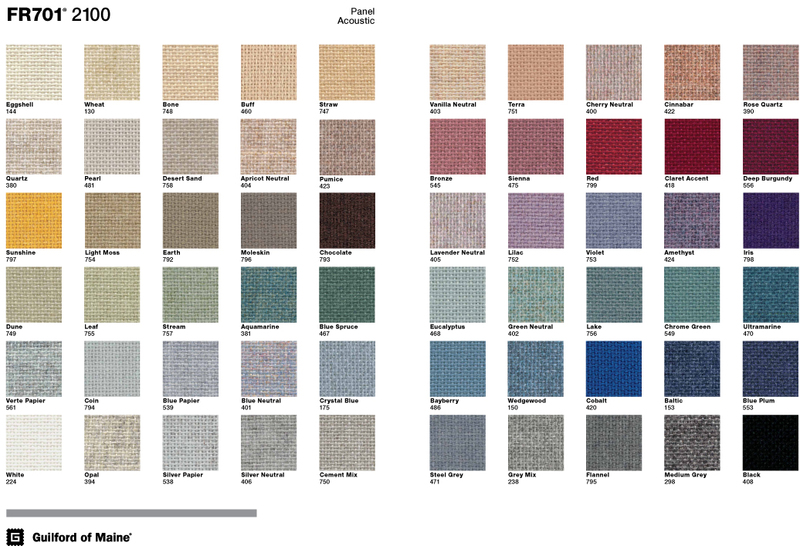 For clients seeking to expand their color options beyond the 60 color pallet of our Fabric Panels, NetWell offers the opportunity to have your sound panels custom painted to the Pantone color of your choosing. Ideal for blending your sound panel treatment into the color of your walls, or branding your space with your own unique custom color codes. See Blush Panels. The second image illustrates our ability to print custom imagers, graphics, logos, emblems, mascots, artwork and photography on to the face of your panels. These PicturePanels offer beautiful, vivid mural type wall or ceiling panels that are truly a feast for the eyes, as well as doubling as sound panels for the ears. You supply the imagery, we will supply back your custom imaged wrapped sound panels. See PicturePanels. Two reminders with either of these upgrade options to the standard Fabric Panel. First, the key to the success of your sound panel treatment depends on getting coverage amounts right. Regardless of your choice in sound panels, be sure to use our Room Analysis tool or call our help desk at 1-800-638-9355 to determine your coverage amounts. And second, the price points will jump with the Blush Panels or the PicturePanels. The most cost effective approach for tight budget projects is to stay with the Fabric Panels and make your color selection off our existing pallet. Fabric Panels will be bundled, wrapped, edge protected, and strapped to pallets in preparation for their shipment. Care should be given upon accepting delivery to ensure that the freight carrier did their job and got your sound panels to you in perfect shape. If you detect any issues related to damaged panels, be sure to sign for them as such with the driver before he leaves, and forward that signature on to our help desk. Our popular Room Analysis is complimentary. This innovative tool is designed to define the framework for your acoustical application and quote your upcoming sound panel project. To calculate your acoustic Fabric Panel coverage amounts, we need to know your room’s dimensions. Submit those here and we will quote your upcoming sound panel project. Call 1-800-638-9355 for any questions.